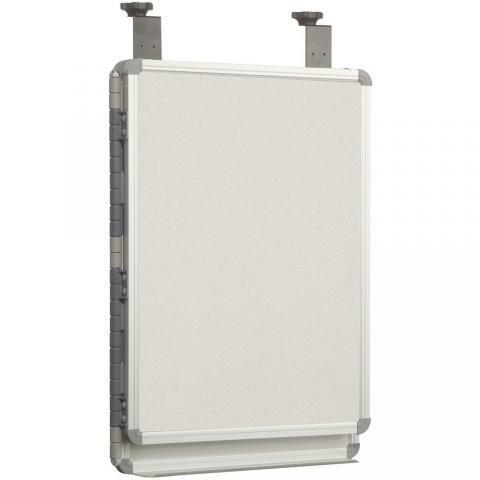 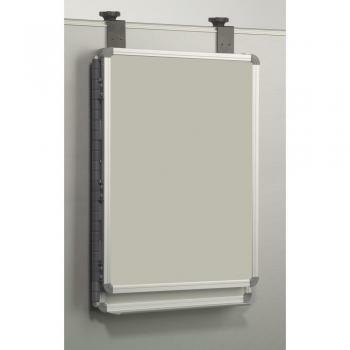 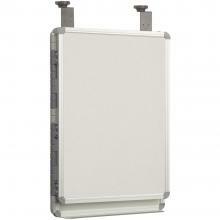 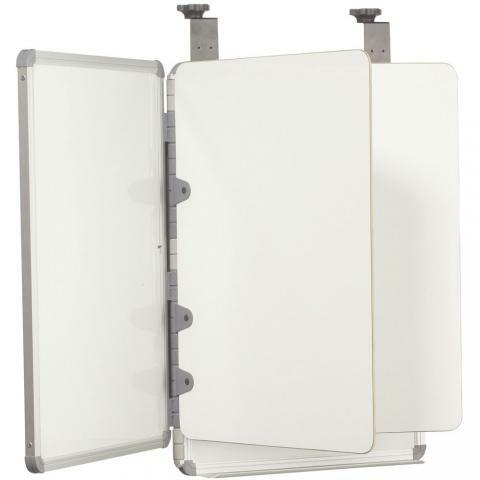 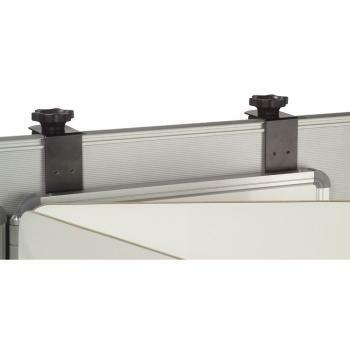 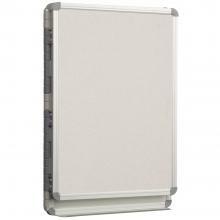 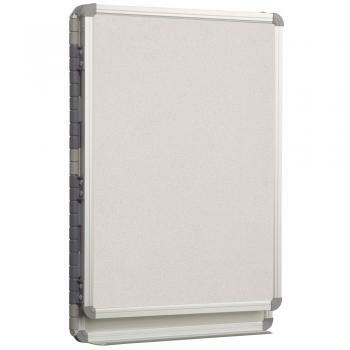 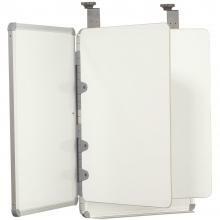 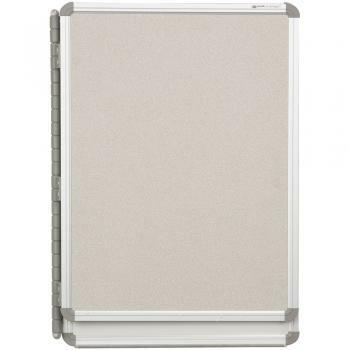 This cubicle dry erase board is constructed of high pressure laminate. 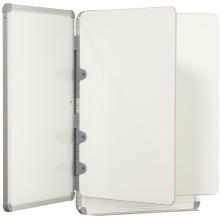 It has 2 double sided interior panels. 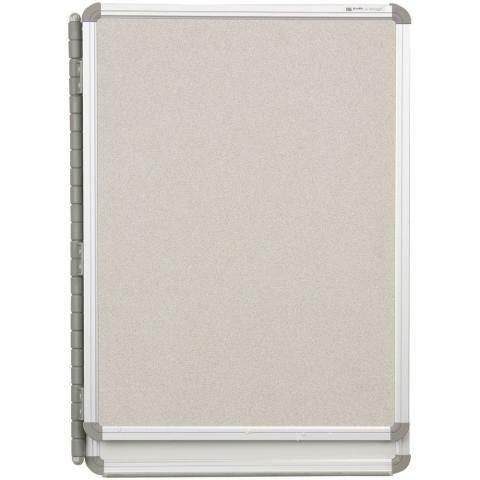 The front panel of the dry erase board is vinyl covered tackboard. 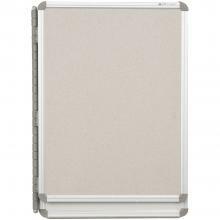 The back panel is porcelain steel, making it magnetic. This board can be used for lots of different things!